For the customer, Amazon are great - low prices and wide selection, especially if you are purveyor of niche products that can be hard to find. But those cheap prices can come at a cost. For example, suppose you're a novelist - not someone like Stephen King or JK Rowling, but someone less well known. The money you earn off your book is a percentage of the sale price of each copy of that book. So when Amazon come along and knock big amounts off the RRP, undercutting brick and mortar stores and forcing them to lower prices, it just harms the author's earnings, and the publisher's earnings. And of course they're able to reduce prices so much because they don't have the overheads of brick and mortar stores, they can use the discounts as loss leaders and so on. It's harming the book industry. I'm not sure what the effect is for music and films, as they have their own issues with piracy. Oh, and Amazon find every loophole they can to avoid paying tax. In Europe in 2016 they paid £15 million in tax on gross earnings of over £20 billion. All that said, I've used Amazon plenty of times, so I'm a hypocrite. And if subscribing to Amazon Prime will help convince Amazon to take up JMS' offer of uprezzing the film negatives to HD, I'll be sending them my money. Is B5 only going to be on Amazon Prime in the USA, or worldwide? Unknown so far. We would love for it to be global but I've been encouraging people to contact their region's Amazon and request it. Also the movies and Crusade which haven't been mentioned yet. On 17/5/2018 JMS tweeted some very interesting stuff to Amazon about getting a higher quality version of B5 out there. Although some people are questioning the technical accuracy of some of his statements. Last edited by Blake00; May 21st 18 at 04:12. And here is a link to the petition that has already started about those comments. If JMS' statements are inaccurate I think it is still a good idea to sign the petition just to get the numbers up. 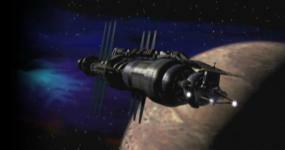 It is always good to remind WB that there are Babylon 5 fans out there. I even "Chip"ped in a little money so it gets shared more on Change.Org. Even if the petition is really for something that doesn't exist it is a petition with B5's name on it that might get seen by someone at WB to remind them we're out here. Last edited by Looney; May 20th 18 at 17:22. I just posted this reply to you over at gateworld but yup 100% agree with you Looney & yup I already voted yester. Little bit to much pessimism & negativity in that jmsnews thread for my liking. Unfortunately I just checked the petition and only 13 people have signed it since I signed it yesterday. Even if the petition was not based in reality those kinds of numbers aren't going to get noticed by anyone. If we could have made more noise WB might have gotten word that we are still out here, but 518 signatures isn't going to impress anyone. I don't think it's negativity as much as reasonable doubt that those negatives *with the effects* even exist. Asking for something that doesn't exist won't help anybody. Me, I'm encouraging everybody in non-US regions to make sure they ask for the show to stream on Prime there since we don't yet know if the streaming will be global. "I've just checked it Joseph, as far as I know it will be available globally. But I am not so sure about all the countries as it depends on the content providers permissions." So if you are outside the U.S. and you are not able to stream Babylon 5 through Amazon then it is because Warner Brothers said you couldn't. Blame them. They should be used to it by now when it comes to all things Babylon 5.